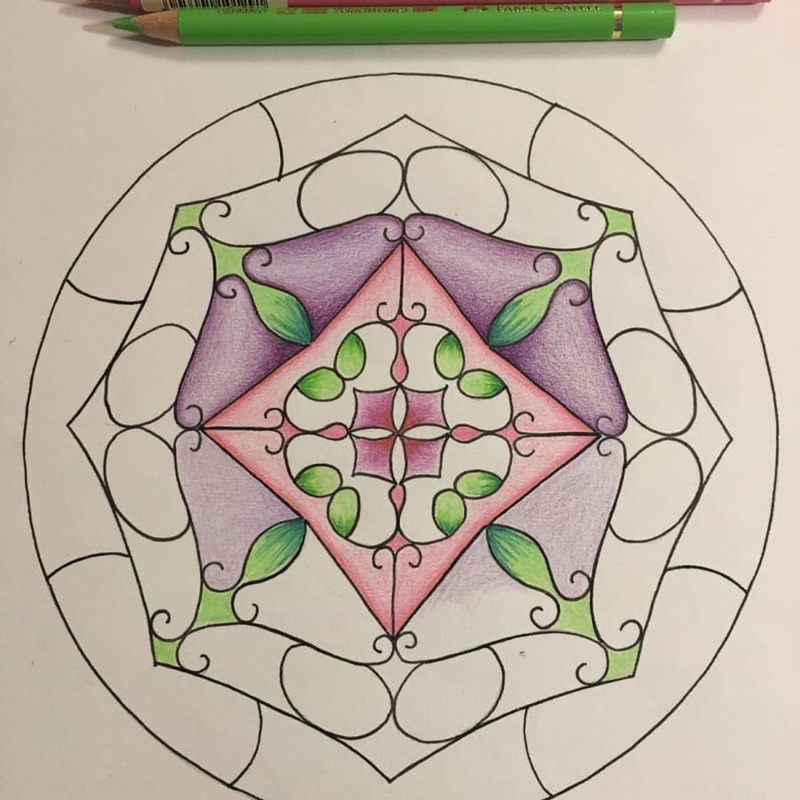 Learn how to design a mandala using your own name! 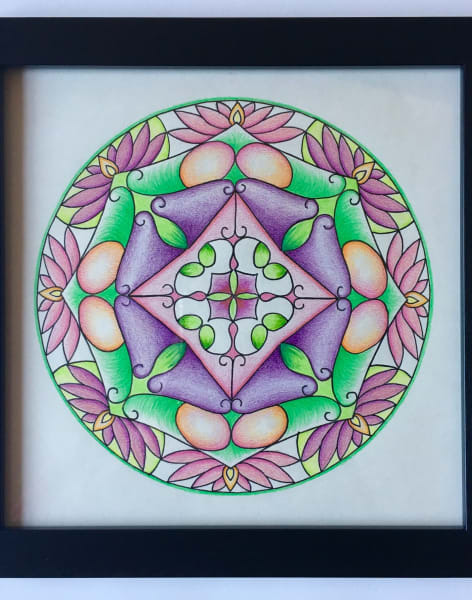 In this class you’ll learn how to create your own unique mandala using your name. Drawing and colouring a mandala can be an enriching personal experience in which you look inside yourself and find the shapes, colours and patterns to represent anything from your current state of mind to a wish to celebrate yourself. 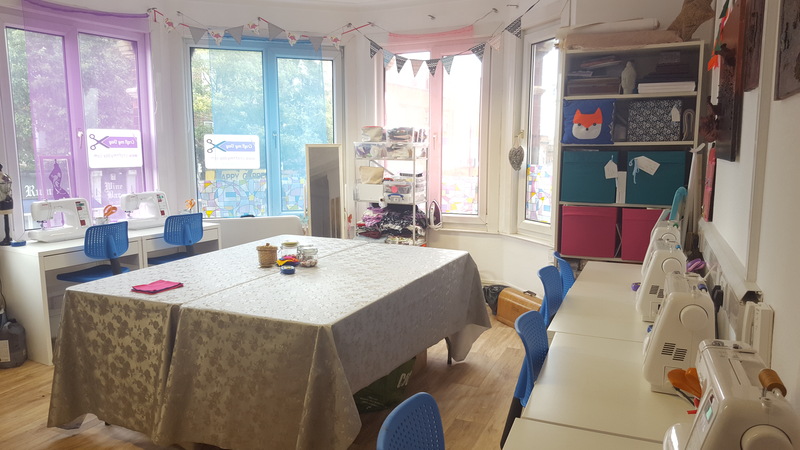 You’ll use basic tools – paper, pencil, ruler, compass, protractor, pen and colouring pencils – to create something that will be altogether unique and special. 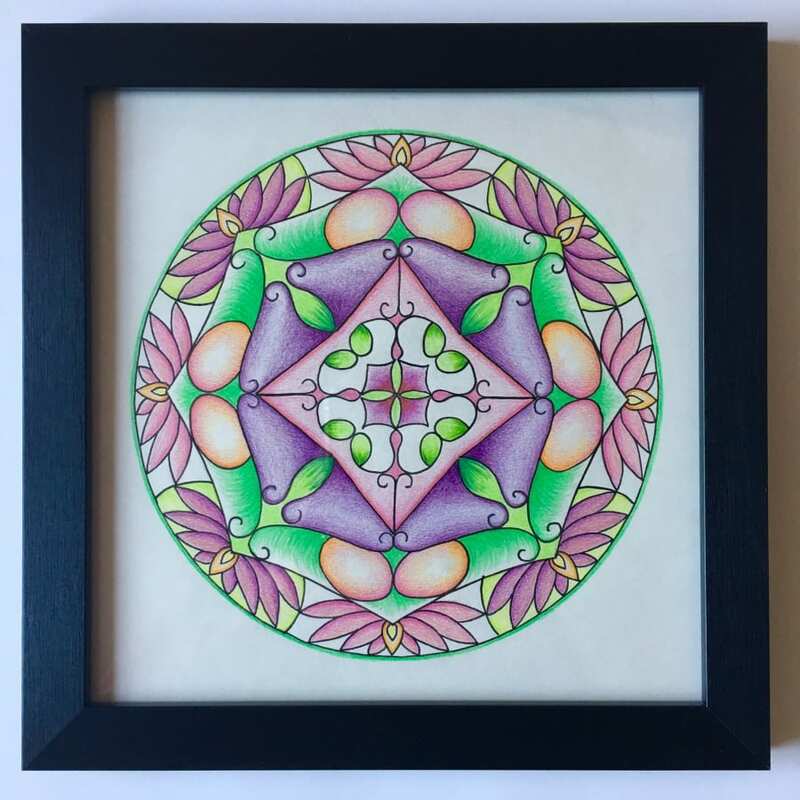 After just two to two and half hours of quiet mindful practice you’ll go away with a framed mandala. You’ll start by learning the basic geometry required as the basis of any mandala design, and then how to create a repeating symmetrical pattern using your name as a motif. It sounds much harder than it is! Once you have drawn out your basic pattern, the tutor will show a few examples of mandalas for inspiration – to see if any additional floral/ repeating patterns can be added to your design to make it even more ‘mandala-like’. You will then be shown how to ink in your drawing and make it as neat as possible. You’ll then be offered help to select colours for your design. Colour theory will be covered as well as notes on what colour groupings that are particularly effective in mandalas. Colour pencils will be used, the tutor will cover layering of colours and other colour pencil effects such as burnishing. Once your design is complete it will be placed in a compact black frame for you to take home. All equipment and materials are provided for your use during this workshop. Complementary light refreshments will be available.